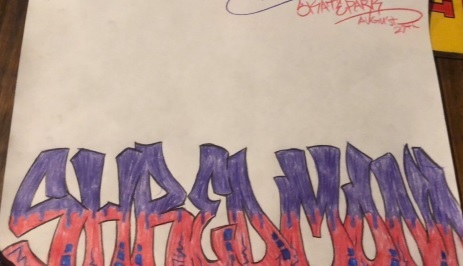 REDMOND, OR -- In what could be a case of “if you can’t beat ‘em, join ‘em,” Redmond officials are considering a plan that would allow taggers to decorate the city’s skate park and new Homestead Bike Park. Parks Division Manager Annie McVay says the idea started with an idea from a teen who wanted to dress up the Skate Park on Black Butte Boulevard. "The skate park is all concrete and there’s a couple of vertical walls, and they often get vandalized and tagged. One local youth came to us with a design, and he wanted to write ‘Shredmond’ on the side of the wall, which we thought was great." But, she says the Parks Committee decided it would be best not to limit the opportunity to just one artist. 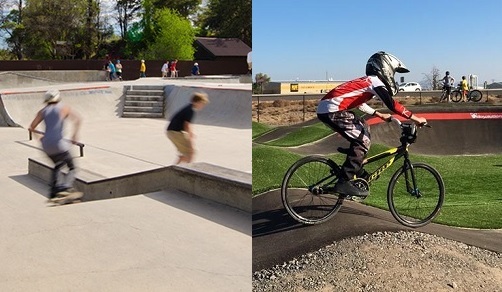 So, the city is now working out details for a new program that would allow one design for the skate park, on Black Butte Blvd, and another for the new bike park on the north end of town. "Local youth can come to us with ideas of designs that they would want to put on these spaces," McVay tells KBND News, "And then, [we would] kind of rotate them every year or so, and have them more involved in what they’re park looks like and what kind of art they would like to see in their parks." She admits it's still "just" graffiti, "Legal, approved graffiti; it will go through the Parks Committee, and we also have a Redmond Art in Public Places Committee. So, they’ll submit designs and we have RPA [Redmond Proficiency Academy] and a couple other school facilities that are going to help oversight this, as well." It's not a unique idea. Other cities have sanctioned graffiti art to help deter spontaneous tagging and decorate public spaces. McVay expects they’ll start accepting design proposals by next spring.